I’ve written extensively about Baltia, which is America’s oldest startup airline. Or at least it was for a long time. I won’t rehash everything here, but if you’re not familiar with Baltia/US Global Airways/the most ridiculous airline project ever undertaken, see this post. Half as Interesting is an awesome YouTube channel that tells some cool stories (the person who is behind this is also behind Wendover Products, which often publishes cool airline-related videos). Today a video entitled “The 30 Year-Old Airline That’s Never Flown” was uploaded to the channel. This is a really informative video, though I’d note that it’s quite nice towards Baltia. That’s to say that it makes the airline seem a lot more legitimate than I perceive it to be (and that’s probably simply because the producer is being nice/wants to be cautious with what he puts out there). 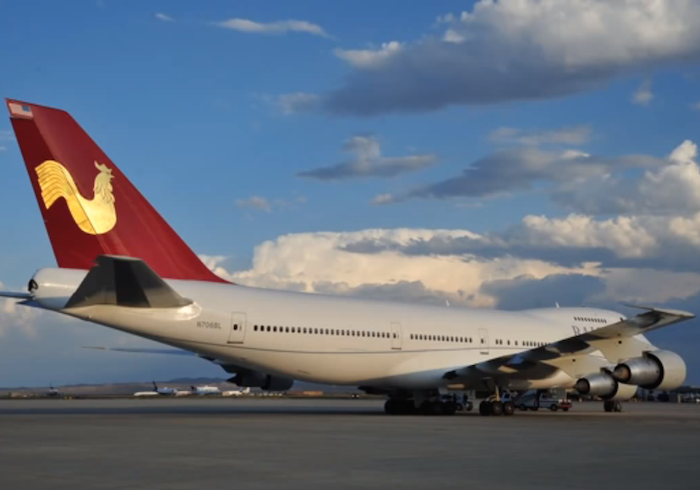 I don’t doubt that at one point Baltia legitimately intended to fly, though in the past decade I feel pretty certain that they didn’t even intend to ever operate flights. Ben – the Half as Interesting guy also does The Mustard, one of the best AvGeek channels on YouTube. Interesting pronunciation of “Islip”. I always thought it was pronounced like “Ice-lip”, but then again, I’m not from Long Island. I am suspecting one of the OMAAT readers gave him the tips to make this video, so it is likely making a full circle back… AvGeek circle is truly small. @Doug what shares? They’re not even listed anymore on the pinksheet market for crying out loud. I did buy 10,000 shares for $17 a couple of years ago. They still show up in my IRA statement. Pretty sure he just read your blog to research this video…where’s the credit? I love Wendover and enjoyed this video, but I feel like it repeated everything you’ve already shared.